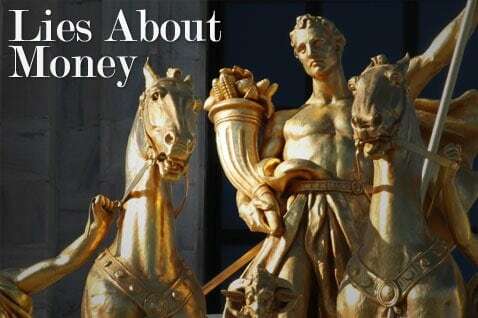 Over the past few years through writing for this blog and helping to facilitate Dave Ramsey‘s Financial Peace University class I've heard a lot of misconceptions that people have about money. These are beliefs and ideas about money that people hold deep in their psyche that tell them how they should approach money. They help to create a framework for their view of their finances and how they approach them. The problem is, when they create their framework based on a set of misconceptions, exaggerations and lies, they're bound to fail. They're hamstringing themselves and setting themselves up for profound disappointment. Here are a few of the more common lies and misconceptions about money that I've encountered in the last few years. You may have heard or even believed some of these in your own life, I know I certainly have. 1. Money buys happiness: One thing that people often assume is that if they were able to increase their income substantially, or if they were to win the lottery, that they would be able to find happiness, and peace. Studies tell us, however, that once you've gotten beyond a certain level of poverty and well being, having more money doesn't contribute to increased happiness. Having more money as the ultimate goal won't lead to happiness, but often will lead to the opposite. True happiness can only be found through faith, family and close relationships with others. 2. To truly get ahead you have to use debt as leverage: There is a common misconception that you have to use debt to get ahead in this world. You have to get student loans to get an education. You have to get a car loan in order to afford a car. You can't start a business unless you go into debt for a small business loan. While I'll never be one to say you should NEVER get a loan, I will say that it is a lie to say that you need to have debt in order to get ahead. Some of the most successful people in business and in life are those that pay cash for the things they buy, or operate their business on a cash basis. If at all possible, I'll operate on a cash basis as well. 3. The only way to get ahead is to lie steal or cheat: This lie says that the only way to get ahead is to be sleazy, money oriented and to have no integrity. People have a misconception that the rich are often just un-ethical and immoral people. Quite to the contrary Thomas J. Stanley in his book the “The Millionaire Next Door“, found that high net worth individuals almost always say that one of the biggest reasons that they were successful was because of the high value they place on integrity. In a way it makes sense because who wants to do business with someone that is unethical or who will cheat them? Those who are unethical are usually found out and don't succeed in the long run. 4. You don't need a plan for your money: Some people think that they really don't need to plan ahead because they make enough money not to worry about it, or because they just have a feeling that “things will work out. As the saying goes, “If you fail to plan, plan to fail”. We've always done decent as far as income goes, but we always seemed to be just barely ahead, and never had enough to save much at the end of the month. Only after we had made a budget did we start finding that we were able to save substantial amounts of money every month. 5. 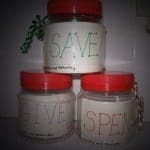 You don't need to start saving and investing when you're young: Sometimes people feel like they don't need to start saving or investing when they're young because they figure they'll find a high paying job and amass all the money they'll ever need – quickly. Problem is many of those same people don't find those high paying jobs, end up with large student loans, and end up not having enough in retirement. Plan ahead, start investing young and you'll come out on top. Worst case scenario? You'll end up getting that high paying job AND having a nice savings set aside at the same time. 6. Having expensive things means that you're successful: People often equate having high status items like clothing, jewelry, cars and houses as an indicator of success or wealth. The problem is that much of the time the people that have these items are only “acting rich” or are in a high income position but are still highly leveraged. Their net worth is still small in comparison to their incomes. Only a small portion of the people who have high status luxury items are actually extremely rich. For most people who are balance sheet affluent, their spending and consumption patterns are much more mundane. For example in the book “The Millionaire Next Door” Thomas J. Stanley found that of the millionaires that they studied, 97 percent of them were homeowners, but their average home value was only $320,000! That's a lot lower than most people would assume! 7. I can't succeed because others are holding me back : Far too often people like to blame external forces for their own failures instead of taking responsibility for their mistakes, and learning from them. We all know someone who is like this. They can't make their credit card payment, so they blame the credit card company for their high rates (instead of themselves for overspending and using the card). Or the guy who buys a house with an adjustable rate mortgage, but when it adjusts to a higher rate and can't afford his payments, he blames the mortgage company for their shady dealings. Taking responsibility for your actions and learning from your mistakes is very freeing. It means you're adaptable, you are able to pick yourself up and move on to the next step – and realize that no one can keep you down if you don't allow them to. Stay positive and you will succeed. I've listed a bunch of lies about money that people are taken in by, and now I'd like to hear your take. What lies about money have you heard? Have you ever believed those lies and did they handicap you? Tell us your thoughts in the comments! At the deepest level, everyone of these is an attempt at an end run around the discipline necessary to succeed. Having expensive things means that you’re successful, for example (a.k.a. “you gotta fake it until you make it”) gives us license to buy things we can’t afford with the moral justification that the image provided will improve our lot in life. If only it were that easy! One point on #3…there are businesses out there where some form of lying, cheating and stealing are something of an industry norm. “Liar’s Poker” chronicled just such a situation, but they aren’t as rare as we like to think. The best course of action if you find yourself in one may be to exit a.s.a.p. which is not always an easy thing to do. That’s where integrity comes into play! How far are we willing to go to make a dollar??? I love that quote from Mark Twain. I actually have it in an upcoming article! Dr Stanley’s latest installment “Stop Acting Rich” is an excellent book to counter #6. The rich don’t waste their money on Rolex watches or many other expensive items normally associated with wealth. Joe, I’ve found exactly that to be true from my accounting career. The showboat toys are for the wanna-be’s. The people who truly have it don’t need to flaunt it–maybe they get their kicks just from knowing they have it? Or maybe they’re where they are because they don’t follow the herd? I like the last tip the most. In business, I often have associates tell me that their wife or family isn’t supportive enough and that’s why their production is low. Earl Nightingale in his audio ‘The Strangest Secret’ mentions that success is the pursuit of a worthy ideal. He says that if you are steadily working towards your goals, you’ll not only reach them, but he already defines you as a success. The same is true for your lie number 7. If these people stop paying attention to other people and just work, they’ll prove the naysayers wrong. I couldn’t agree more with each and every one of these. Great post! Perhaps #1 is the key here, we tend to think that all this stuff will make us happy and so we work our tails off, sacrifice our families at the altar of “corporate success”, and oftentimes neglect the greater good in life at a chance for fame and fortune! True wealth isn’t the size of our bank accounts it’s the quality of our relationships and living life with purpose! Great post, Peter! This issue of contentment – the lack of which causes people to buy stuff to look impressive, attach happiness to money, and give relationships the shaft in the name of stuff – is such a deeply-rooted personal issue that most folks don’t reckon with it. John Miller wrote QBQ: The Question Behind the Question, and in it he wrestles with this concept of personal accountability. That we’re responsible for everything we do. Even if someone else acts in a way that we’re impacted negatively, we have a responsibility to do our very best to right the situation – not perpetuate a bad situation with name-calling and finger-pointing. How taboo is this in our culture and with our money?! Anyway, with money, until we’re okay without more stuff, we’ll continue to buy into the myths and lies you’ve listed above. Until we’re okay without more stuff, we can’t take ownership of our situation because we’ve transferred away our power to change to other people or other things. Previous Post: Do You Really Have To Sacrifice To Get Out Of Debt? Next Post: Where Is All My Money Going?!? !